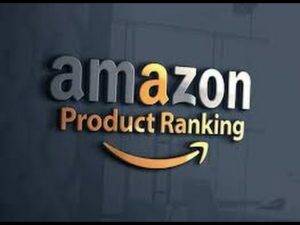 Sellers on Amazon have first and foremost important question in there is “How does Amazon product ranking work and how do I rank my product on the first page?” As we all know that buyers search for products to buy on Amazon rather than Google. For buying a new product buyer go to Amazon rather than seeking it on Google. Amazon decides the ranking of your product listing based on relevancy, conversion rate, and product authority. Amazon sellers want nothing but two things: revenue and repeat customers. Amazon has its Ranking Algorithm to the rank product according to the different factor. A9 is the name of Amazon’s Ranking Algorithm. If you have ever searched on Amazon, you have already interacted with A9. Before going further, let us get into the heart and brain of Amazon’s product search algorithm and how does it correlate with Amazon’s greater strategic vision. – Indexing and analyzing each product listing with all details. – Discover what the product is all about. The more products that you sell, the more money Amazon makes in the process. So Amazon created the best seller’s rank. The lower product’s BSR in a given category, the higher its sales have recently been. For example, a product with best seller ranking of #1 might sell as many as 10,000 products in a given month whereas a product with a BSR of #1,000,000 that product may only sell 1 or 2 units in the same time periods. Now next question what comes in all sellers mind is how do I get my product to the first page? Let us understand the full circle, the more sales we get, the further up on the page we go. As the new up on the page, we go the more sales we get. Amazon won’t rank on your product on the page on unless you are matching the level of sales of the sellers currently on page one, whether you are Amazon prime holder also. The best way to do this is through promotions. Create a product promotion in Amazon seller central. Sign up with an Amazon deal site. List your promotion and product codes on the deal site. Use the keyword targeted URLs options and enters in the keywords you want to rank for. Watch as the sales come in and your product starts to list. Title: Unlike Google, Amazon cares more about keywords. You may fill in the title with as many keywords as you can. The more, the better. Amazon SEO Will help to Find Right Keyword for your Product. Complete product description: The full description of your product listing it, the better. Amazon does not allow goods that are not described in the Buy Box. Conversion Rate/Sales: A conversion rate is a sales metric that helps digital marketers and Amazon sellers understand how effective their product is making sales. This is one of the very important factors to be ranked on the first page. The more your product is popular the more likely to be coming on the first page. Customer reviews: Customer review is more likely to influence other probably buyers to make a purchase. Therefore, it makes sense that Amazon uses it as a ranking factor – higher ranked products receive a ranking boost and vice-versa. Question and Answer: It is important art as if affect the conversion rate of your listing. If you do not answer questions that posted by customers, it may indicate that you are not familiar with the product and your credibility will decrease. Time spend reviewing on product and bounce rate: If buyer stays longer on your page, it will significantly increase your conversation rate. However, if the bounce rate is high, you may rethink your strategy to solve it. Price: Listing with a lower cost relative to the competition typically sees a higher conversion rate. Try to experiment with the new clip-on coupons feature that Amazon recently released. Experiments show that having a dollar-off coupon works better than having a percentage-off coupon. FBA: Amazon prioritizes products with FBA shipments. The product keyword search authority will increase and get a higher ranking as you use FBA services. Order Defect Rate: Order Defect Rate (ODR) is one of Amazon’s key performance metrics for analyzing customer service and maintaining high standards. It is calculated by dividing the number of orders with the negative “defects” described below by the total number of orders from the same time period. Oder defect rate will decrease your impression on the first page. So, I hope that this articles will help you to understand more about how Amazon’s algorithm work and fight for it! Wish you best of the luck!